Our first Bolognese dog Endy had not pedigree. He was constantly ill.
After a bad experience, we decided to buy a Bolognese puppy female - Flower, with a pedigree. This wonderful, cute and playful pup quickly won the hearts of our whole family. Flower grew up in a beautiful and successful female dog and I started to think about breeding these amazing dogs. Our first puppies in our bolognese kennel Maty Ve Maria were born on 15th March 2012. 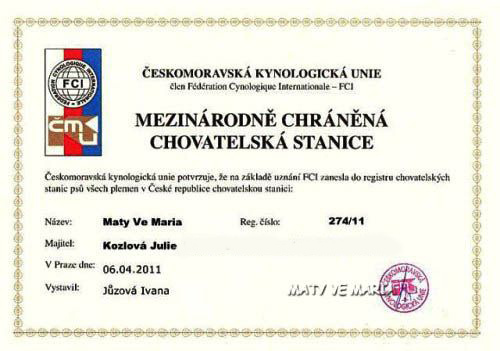 Puppies are with FCI pedigree only. 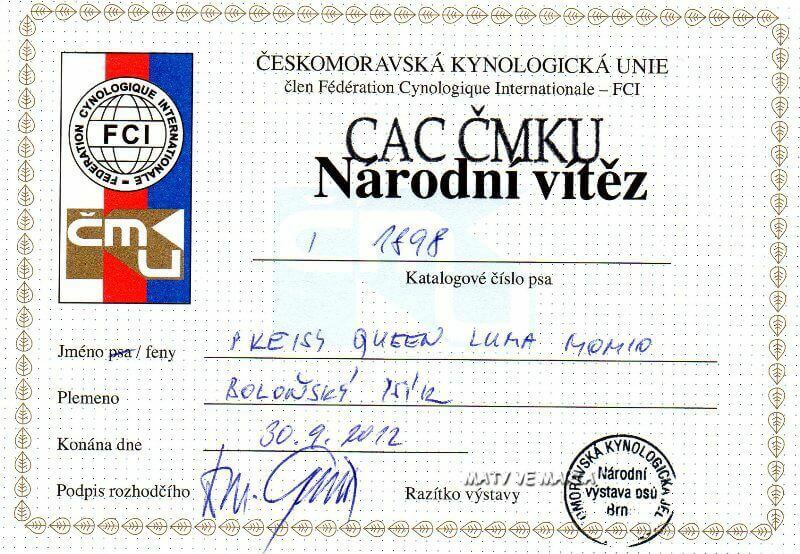 FCI Pedigree is guaranty, that from the puppy will grow up adult dog of this breed. Puppies will go into new homes, when they are a least 9 weeks old. Our females and puppies are fed by superpremium food. You will take a puppy from our dog Bolognese kennel with the purchase agreement, FCI Pedigree, vaccinated, dewormed, chipped, with a passport and a start puppy package. Apart from Czech republic we have puppies in this countries: Poland, Germany, Siberia, Alaska, the Great Britain, Sweden, Austria, Switzerland, the Netherlands.